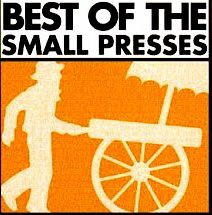 Several months after publishing my first short story, I received an email from the editors of Night Train Magazine, informing me that they were nominating me for a Pushcart Prize. It seemed like a big deal — the Pushcart Prize! I imagined an acceptance speech at the podium, a shiny trophy on the mantel, and all the other untold riches and rewards that would come with being published in (for certainly my story would be published in) one of the most distinguished anthologies of American short fiction. Of course, my story wasn’t published in the Pushcart anthology. And as I continued to publish stories (better stories, I was sure, though none of these were nominated for the prize), I came to learn how significant a Pushcart Prize nomination is. In short, not very much. Each year, every literary journal in the country may nominate up to six pieces of poetry and/or prose. In addition, every publisher of fiction is entitled to six nominations (of poems, short stories, essays, novel excerpts and even “literary whatnot”). John Fox of Bookfox (and a fellow USC alum) estimates that this results in 3,000 people being nominated each year. The cover of the Pushcart anthology famously has a picture of a man pushing a cart. During the month of November, when editors are announcing who they’ve nominated for a Prize, I often see that picture and think of one of my favorite scenes from Monty Python. Are we just self-centered, insecure, and desperate for attention? But also we’re probably trying, in our own little way, to assert a place in the cultural dialogue. The winner of the National Book Award isn’t announced live on television, as is the case with the Booker Prize in the UK. Literary news is buried in the back pages of our dying newspapers, alongside stories of melting glaciers and mysterious fish kills; and if Time magazine ever deigns to put Jonthan Franzen on its cover, it’s probably only to generate a year’s worth of more popular stories on the gender wars. Posted 7 years ago by StephanClark. Posted 8 years ago by StephanClark.